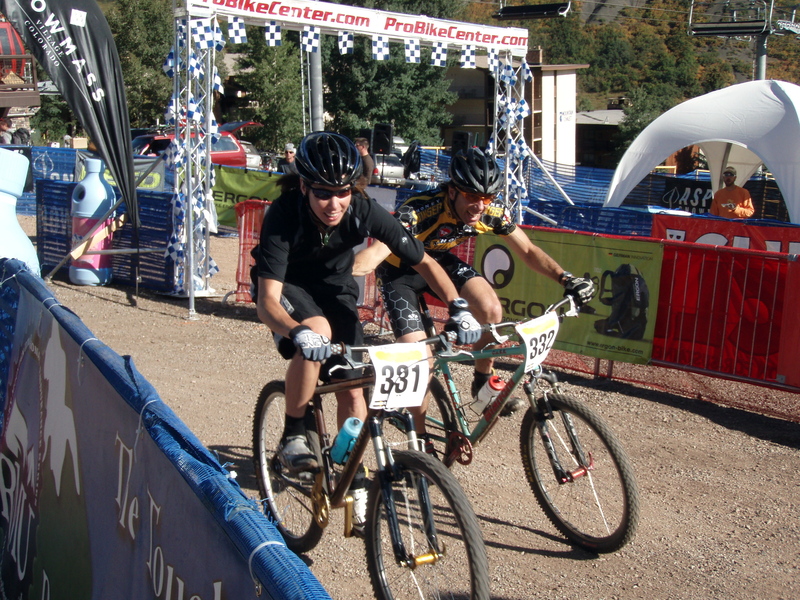 Yesterday marked a first for the Anderson family: Ian and Sari actually raced together. 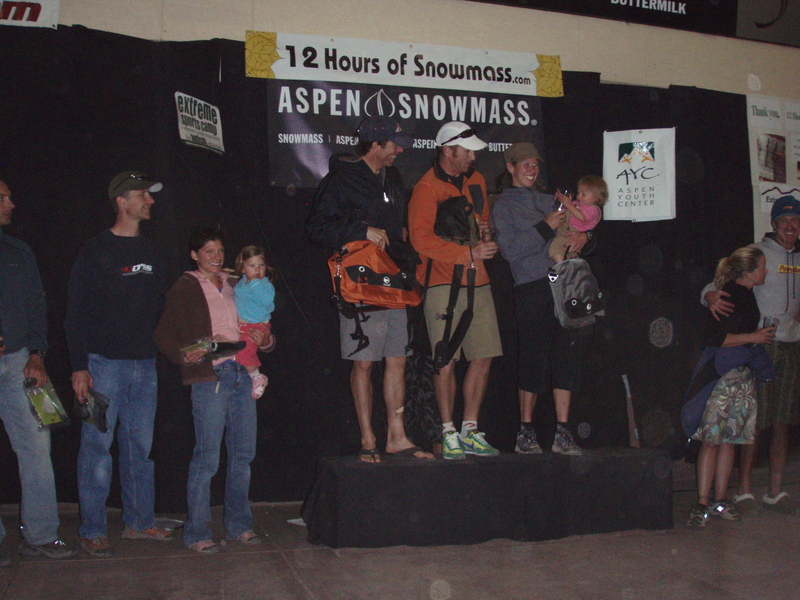 Typically, I’m far too slow for Sari to race on a team with me, but the format at the inaugural 12 Hours of Snowmass was perfect for us. It allowed us to all race at our own pace and switch off laps (and babysitting duty). We teamed up with our buddy Rob Russell and entered the Co-Ed Trio category. 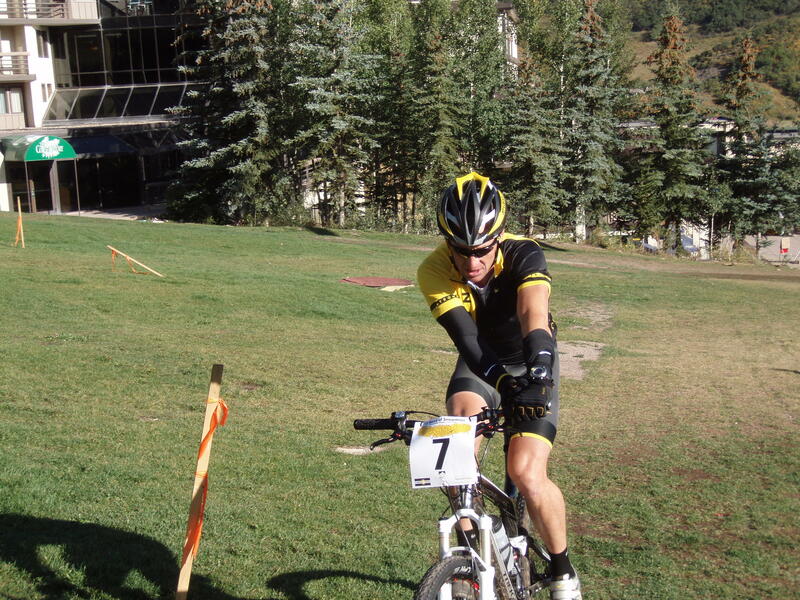 Just for fun, we all raced on our singlespeeds. We had a great day of racing. 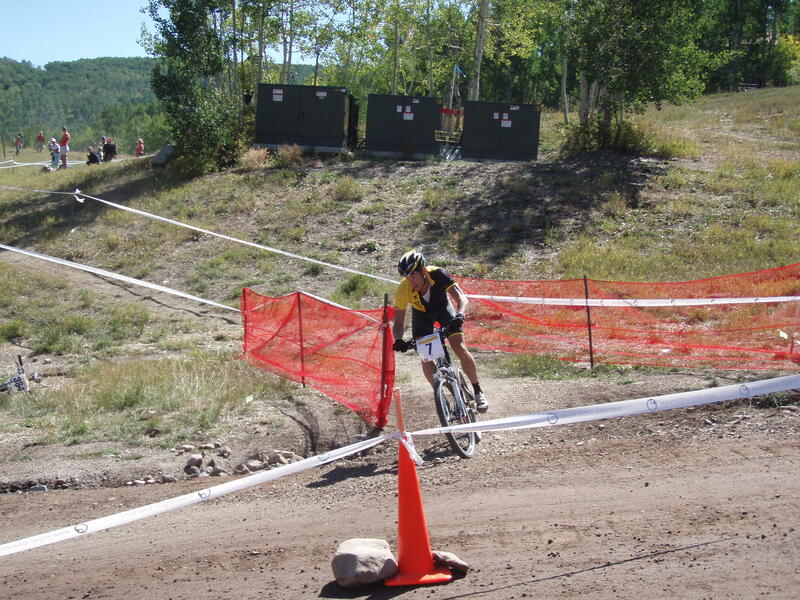 It was a terrific 7-mile course that featured over 1,500 feet of climbing and lots of fun, technical singletrack. The weather was spectacular with a hint of fall in the breeze and even a some golden aspen leaves covering the trail. Our team name was “Chicked,” a term guys use when they’re getting beat by a girl. Sari didn’t disappoint and clocked the both the fastest lap on our team at 47 minutes, as well as the fastest overall female lap for the day, netting her a nice cash prize and a sweet tent from Ground. In between laps we all traded off duties watching Juniper, with support from Rob’s wife Elinor. 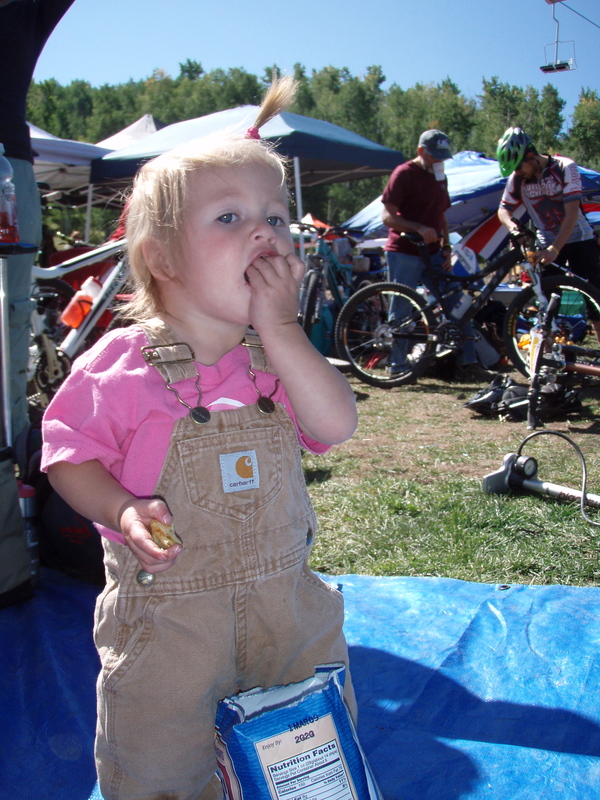 Juniper was a champ, ringing the cowbell for us and eating lots of our race junk food. Our team placed first in the Co-ed Trio Division, finishing a total of 14 laps (5 for Ian and Rob, 4 for Sari). Lance: Passing on your RIGHT! Ian: (gasp) So, I hear you’re training for the Tour de France again? Don’t you think races like this are more fun? 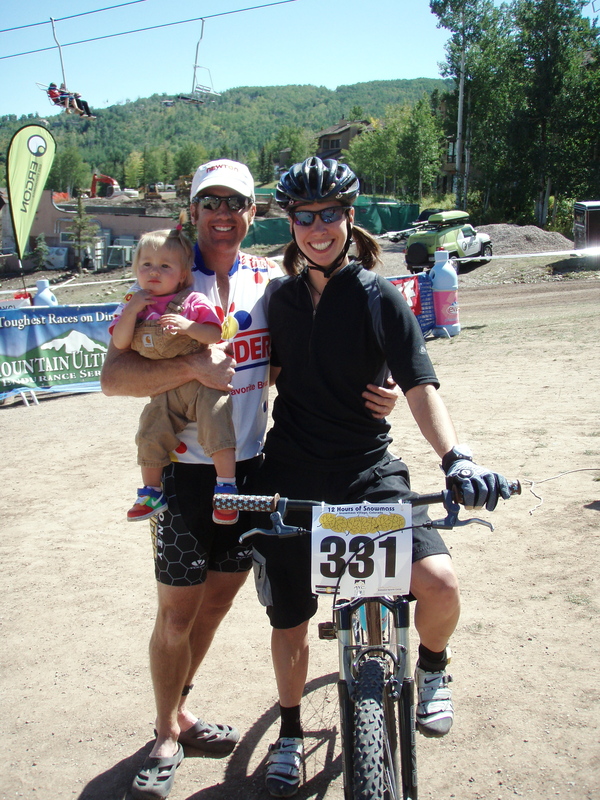 Hey, my wife is an adventure racer, and she’s sponsored by Nike too! You guys should totally do an adventure race together. Lance: (now 5o yards in front of Ian) grunt. Ian: Go get em Lance, you da’ man! 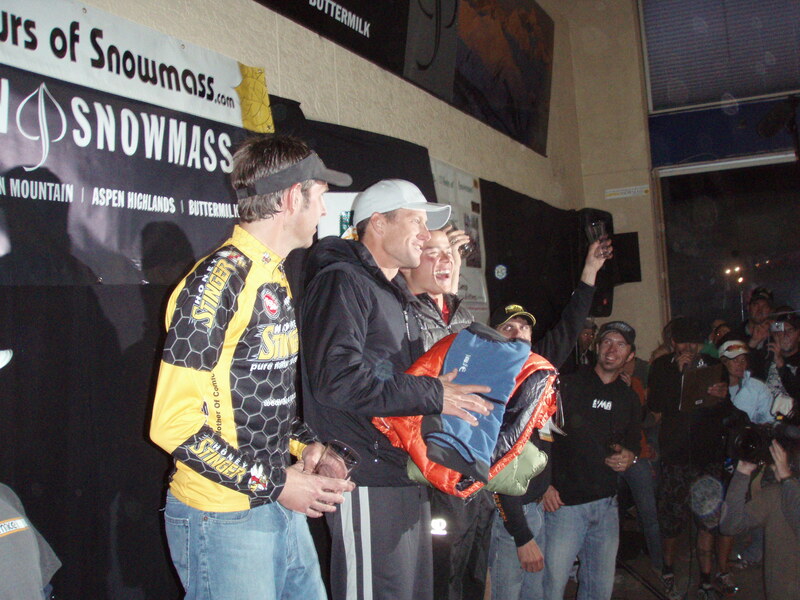 Anyway, my colleague and friend Len Zanni, along with his teammates Lance Armstrong and Max Taam held off a late race surge by Team Beaver Creek to win the trio men’s category. Full recap here. My favorite part of the day was when Sari showed up at the race after letting Juniper sleep in, and almost killed Lance. Sari was in a hurry, head down, pushing Juniper up the hill in the Chariot. Lance was doing some warm up in the grass and very nearly collided with Sari, Juniper and the Chariot. In a move that was eerily reminiscent of Stage 9 of the 2003 Tour de France, Lance narrowly avoided Sari, et. all. Lance warming up, trying to avoid Sari. nice job team anderson! especially love the carhaarts and potato chips: she driving a big rig yet? Sari – nice work as usual! i’m just a little concerned about russell’s busy hand….